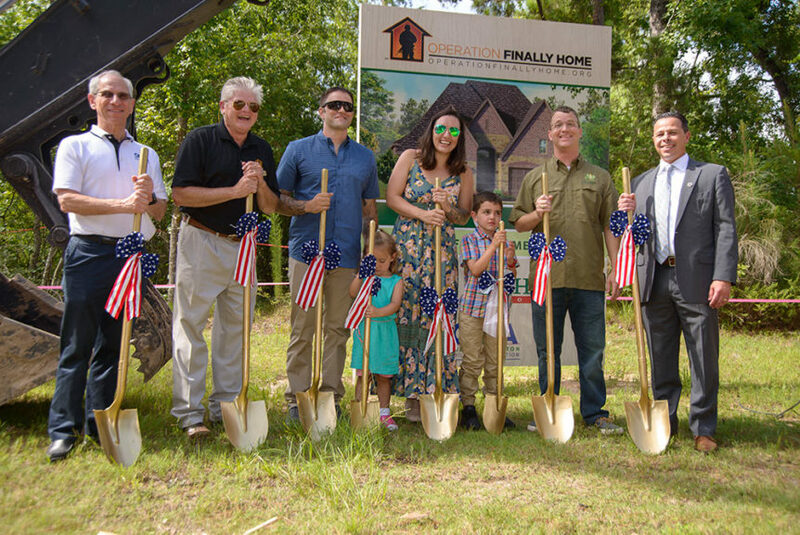 Operation FINALLY HOME along with Highland Homes, Ashlar Development and the Greater Houston Builders Association surprised U.S. Marine Corporal Michael Byrne and his family with the news they are receiving a custom-built, mortgage-free home in Humble. The surprise took place on June 29, during a special groundbreaking ceremony at the homesite in The Groves in northeast Houston, a one-of-a-kind master-planned community that the Byrnes family will now call home. Michael and his wife, Michelle, who is also a veteran of the U.S. Marine Corps, believed they were going through the preliminary interview process with Operation FINALLY HOME and Highland Homes. The family was then completely surprised when they were escorted by the Patriot Guard riders and greeted at the site of their new home, which will be move-in ready by late 2018. Situated in northeast Houston, The Groves is a one-of-a-kind master-planned community, skillfully orchestrated by Ashlar Development to preserve the pristine pines that create a beautiful and majestic backdrop for families to live in the quiet surround of wooded bliss. Located in the acclaimed Humble ISD with easy access off Beltway 8 and Hwy 59, The Groves is conveniently located to Lake Houston, the Galleria, the shopping recreation of Kingwood and Atascocita, and a short drive to business corridors of Generation Park, downtown Houston, The Woodlands, and the Port of Houston. With unique amenities and year-round entertainment, The Groves offers the kind of life buyers dream about.